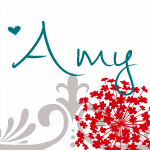 Google Amy's Cooking Adventures: Huge #BacktoSchoolWeek Giveaway - One day left!! Huge #BacktoSchoolWeek Giveaway - One day left!! Have you entered for a chance to win all these great #BacktoSchoolWeek prizes? A Bun in the Oven!! !